A thank you to Lewis Clark Animal Shelter staff and volunteers. The organization with the most submissions is eligible for a $10,000 grant award. By uploading your photos, you are giving us a chance to win this lifesaving grant. When uploading your photos, please spell out our organization as Lewis Clark Animal Shelter and our website address as: www.lcshelter.org, so your submission is tied to our organization. You can win big too! Each day, one entry will be selected randomly and will receive a $50 Petco gift card, a signed print from MUTTS, a Petco Foundation apparel item, a tote bag from BOBS from Skechers and a coupon for a free bag of WholeHearted pet food. If you’re selected as a winner, Lewis Clark Animal Shelter will be eligible to receive a $1,000 grant award. Remember: the earlier you submit, the more chances we have to win! 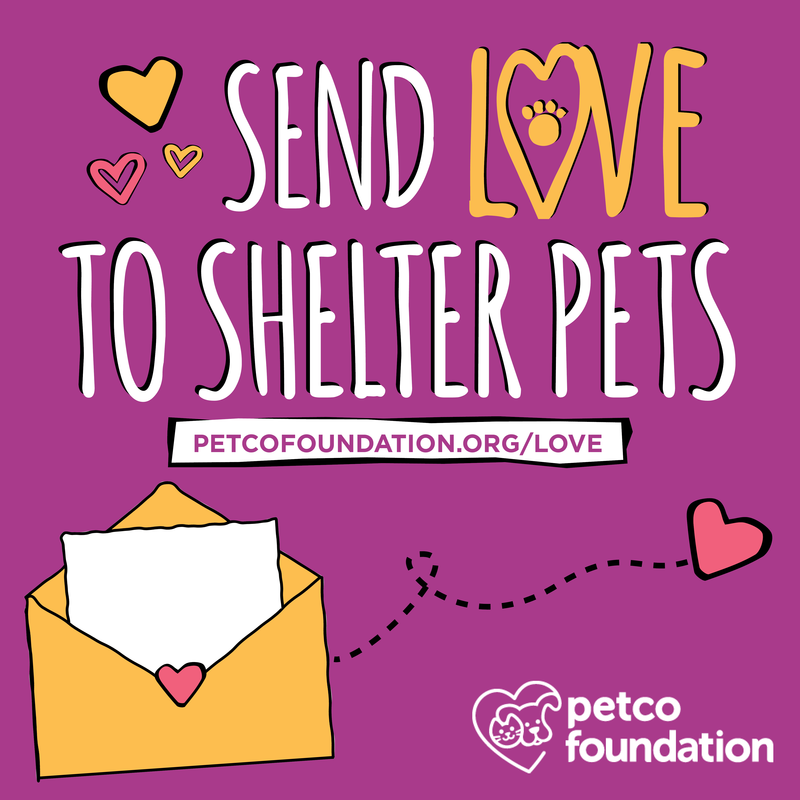 Learn more and submit your entry at www.petcofoundation.org/love. Encourage other adopters to send their #sheltervalentine too to help us earn grant awards!